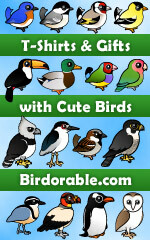 Do you like joining bird club outings, or even leading them? Like birding with a big group of people, strangers or friends? This fun retro-inspired design is for you! 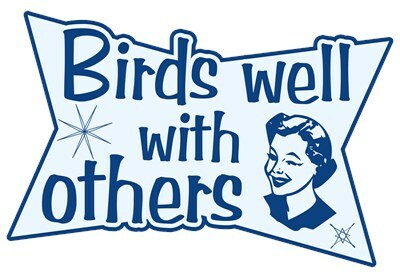 Text reads "Birds Well With Others" and includes a vintage-style illustrated winking woman. To order by phone, call toll-free at 1-877-809-1659 from Monday - Saturday 9:00am - 9:00pm EST. You'll need to note the Product Number 030-999464499 to make your order.